On August 17, 2017, in a swift surge of horrific wind, rain, and fury, Hurricane Harvey hit the coast of Texas, devastating the Gulf Coast with a torrential downpour of nearly twenty-seven trillion gallons of water. The Category 4 storm caused around $75 billion dollars of damage, and left homes, businesses, and infrastructure devastated in its wake. Among the damaged infrastructure was Houston’s telecommunications network, the destruction of which left millions without access to the Internet and further isolated the fourth largest city in the nation. The reason the storm so effectively knocked out such a wide swath of internet infrastructure was because the hardware was concentrated in specific geographic areas. It was in this destruction, however, that an alternative appeared that might be able to minimize the problems caused by damaged internet infrastructure in future natural disasters: consider mesh networks. When one or more nodes fails, the network is still able to route data to the intended destination by sending the data around the defective node, utilizing the nodes that still work to keep the network up and running. This relatively new alternative Internet-consumption stamps a marked shift of how Americans can connect to the Internet. For the better part of nearly two decades, all Internet connected activity was moderated by the nation’s ISPs, which relied on heavy broadband connections as proxies for exchanges between servers, data mines, and webpages the world over. These companies, therefore, have domineering control on how Americans consume their digital media and the market price that Americans must pay in order to use their service as Internet providers. 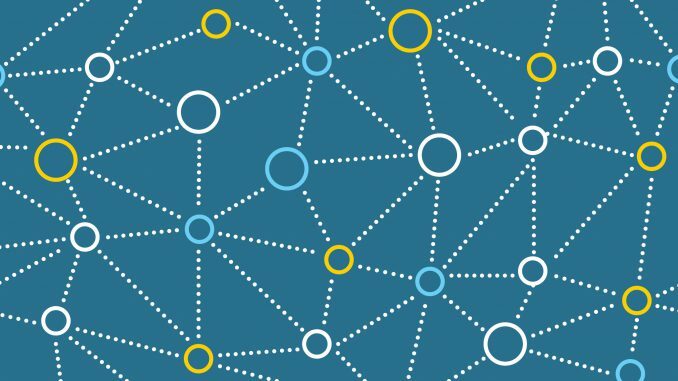 Using mesh networks creates what is essentially a decentralized Internet, a way of exchanging information that can only be shut down or otherwise interrupted by removing virtually every node in a connected network. This shifts the focus from large, constricting corporations to a smaller, versatile grid of blackout-resistant nodes tailored to the preferences of the population. 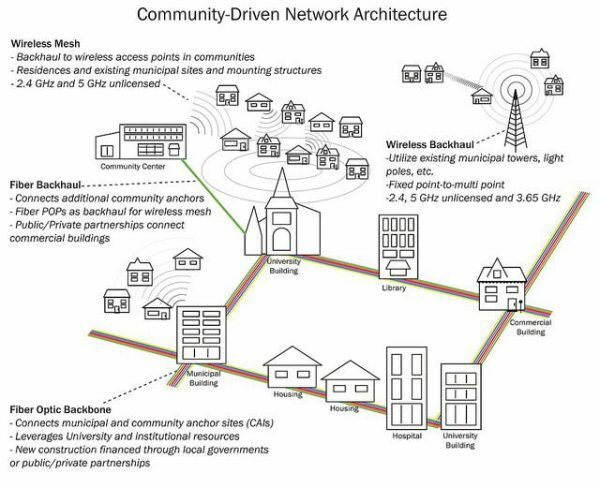 These types of local mesh networks already exist in the world today; New York City’s NYC Mesh and Detroit’s Equitable Internet Initiative represent city-sized initiatives creating localized networks of interconnected devices through the use of mesh networks. In Catalonia, Spain, what started as a project meant to provide internet to poorly serviced households in countryside is today the largest mesh network in the world, connecting 46,000 square kilometers of Spain with around 57,000 nodes in a network known as Guifi. These community-centric projects are all independently run and funded and often call on the participation of those who use the network to maintain it. Mesh networks in these settings connect communities and provide an affordable, if not free, means of connecting to the internet in an open and neutral way. The main drawbacks to this type of peer-to-peer communication for large-scale Internet service are the network’s complex nature of set up, maintenance over a relatively larger area (compared to traditional ISPs), and the high number of consumers needed to make this type of network sustainable, and worth the investment. Oftentimes, the costs of setting up independent nodes across a large area can prove to be extremely costly, particularly when compared to the linear, compact nature of a single infrastructure cell that is a broadband network. Even if mesh networks did become affordable and straightforward to implement, however, mesh networks would have to overcome one last major problem that isn’t even technical at all: mesh networks don’t have a very good public image. Many people have only seen mesh networks being deployed in third world countries or in disaster sites. Very simple mesh networks can, within a matter of hours, be set up to serve a relatively large area with low bandwidth and storage – perfect for first responders. This affiliation of mesh networks with disasters has led to a public perception of mesh networks as a “low-tier” Internet service, which can serve to sour how Americans recognize mesh networking as a viable alternative to traditional wired broadband networks. Yet, despite these shortcomings of mesh networking, this community-grown network infrastructure can be a viable substitute against the more vulnerable, single point of access broadband ISPs, which can fail in the event of a natural disaster or city-wide blackout. This, provides a greater flexibility for how large cities or areas can react to large and rapid changes in the environment that trumps traditional broadband connections. As well, these types of decentralized networks help to push community-driven projects that can lead to a greater flexibility in digital consumption across the United States. Very informative and interesting! Enjoyed this read!